Nullarbor Cottages offers Self-catering accommodation in beautifully appointed cottages close to the small town of Magaliesburg - a perfect match if you need privacy, romance and luxurious but affordable accommodation. 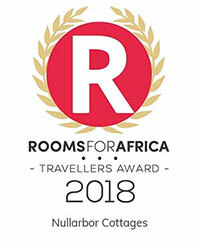 In recognition of exceptional guest reviews Nullarbor Cottages in Magaliesberg has been awarded a Travellers' Choice Award. Pet friendly in selected units 4 Hornbill Lodge, 7 Pula Moon, 8 Mali and 10 So Hobgoblin by appointment only at a minimal additional charge. 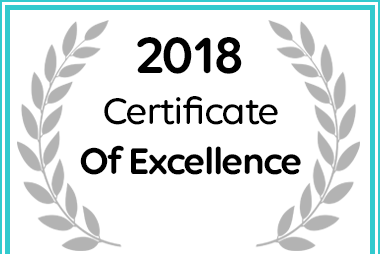 We offer 10 individually decorated and beautifully appointed private wooden/brick cottages to suit your budget and personal taste all with en-suite bathrooms and indoor open fireplaces for chilly romantic evenings; Each cottage which is designed for two guests sharing provides magnificent views, individual braai areas, lapas and fully equipped kitchens for self-catering purposes. Corner spa-baths to bubble away your stress in the large luxury units and four of the cottages have beautiful outdoor showers built from natural rock. We also provide fans for hot summer days and heaters and electric blankets for chilly evenings. All units have showers either indoors or outdoors. Large screen LCD TV’s in all of the cottages with selected DSTV channels (SABC 1, 2, 3, ETV, M-Net, M-Net Movies 1 & 2 and all Super Sport Channels). There are safe walking trails along the dam and river and strenuous hiking trails for the more energetic or bike enthusiasts can bring along your bike. A well-deserved break from the hustle and bustle awaits with wide open spaces, rolling mountains, superb night skies and the call of the soulful jackal and lonely hoot of the owl. The property is accessed via a 1.5 km sand road which some may consider to be daunting but ongoing maintenance makes it quite navigable for a small car and adds to the ambiance of being away from the hustle of the city and truly out in the country. If you cannot get away for a weekend, we offer a day-break where you can escape and relax for the day. This offer is valid for Mondays to Thursdays only – booking is recommended but not essential and payment on arrival in cash is welcome. Please refer to our rates page for pricing. The name “Nullarbor” was borrowed from the Australian Nullarbor Plains and means “No Trees” null = zero and arbour = trees. This name is however no longer appropriate as there is an abundance of shrubs, trees and flowers in the beautiful ambling gardens with rolling lawns. We have 3 sparkling pools with shady thatch lapas to relax around shared by the 10 units. All units have their own individual braai area and thatch lapas. Laundry facilities are available on request and units are serviced daily at an extra charge. 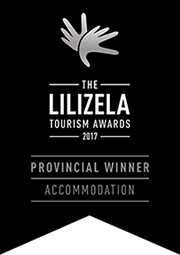 We strive to provide our valued guests with high quality, comfortable accommodation in Magaliesburg in a peaceful and tranquil setting. We therefore regret we do not allow children. Three of the cottages have fully enclosed garden areas and Nullarbor provides pet owners the opportunity to enjoy their holiday with their lovable pets. 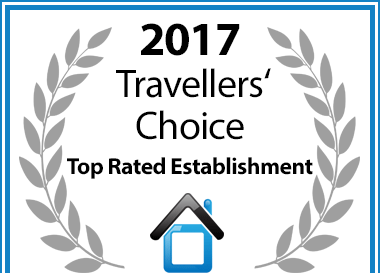 We are avid animal lovers and have quite a few of our own but also consider our other guests who do not necessarily want to be disturbed by other people´s pets. Accordingly, this invitation is extended to owners with well-behaved and controllable dogs and subject to conditions which will be provided on request. We have lovely safe off-leash walking trails on our property as well as the right to use neighbouring farms. For Weddings, Conferences, Parties, Team Building or whatever you require, there is also a fully enclosed Thatched Conference venue suitable for up to 60 guests. Options for either fully catered or self-catered functions are offered. The venue is equipped for Conferences with overhead projector, flip chart and whiteboard. We have chairs and tables for weddings and a kitchen for catering purposes. 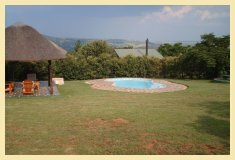 We provide the perfect base from which to plan visits to the Cradle of Humankind World Heritage Site, Maropeng and various game reserves, or hikes through the Magaliesburg Mountains. Outings to Hartebeespoort Dam are also an option. The Magaliesburg area boasts of a myriad of activities - from adventure experiences including Abseiling, Canopy Tour, Horse riding, Quad Bike trails, Fishing and Hiking. 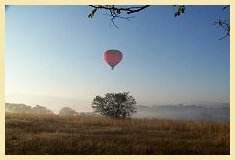 Visit Maropeng, Sterkfontein and Wonder Caves to appreciate the rich cultural history of the Magaliesburg or enjoy a trip in a Hot Air Balloon, Gliding or Microight Flight. The town of Magaliesberg has a well-equipped Spar Shop, Butchery, Bottle Stores and Pharmacies. There are also numerous venues offering Spa and beauty treatments and a wide selection of dining out options. The temperatures experienced are similar to Pretoria with mornings being several degrees lower and mid-day slightly higher.